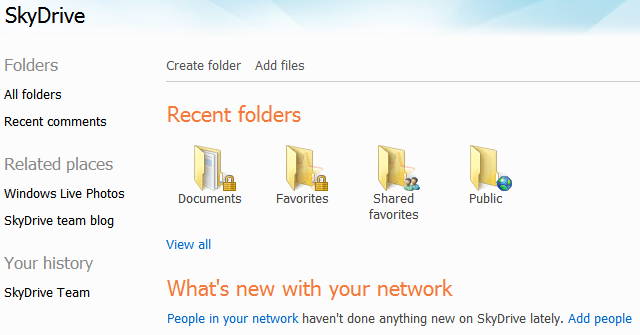 The first cloud storage service on the list is Microsoft’s Windows Live SkyDrive. It offers 7 GB storage space for new users which can be extended via purchases. SkyDrive is simple and easy to use and looks very similar to the Windows Explorer so most users won’t have trouble adapting. Uploads and downloads can be done via a web interface or a desktop client. 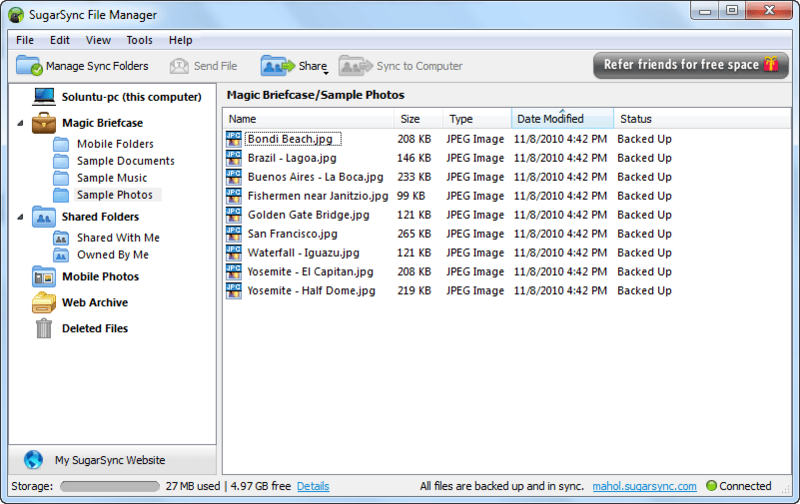 Users that signed up for SkyDrive prior to April 22, 2012 had an option to extend their storage space to 25 GB for free. Through the web interface, the maximum file size that can be uploaded is 300 MB and the maximum file size that can be uploaded through the desktop client for Windows and Mac OS X is 2 GB. SkyDrive is accessible from iOS and Windows Phone as well and it offers Windows Live integration too. 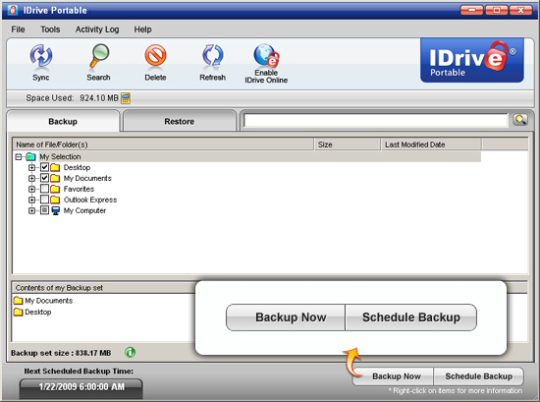 IDrive is another fantastic online storage and backup service. In addtion to storage services, it offers great backup services such as continuous data monitoring, scheduled backups and easy restore among other things. When you start out, you get 2 GB of storage space. You can get an additional 10 GB for a total of 12 GB by referring 5 valid new users. 12 GB of online storage space plus backup features for free makes IDrive one of the best free cloud storage services. Desktop clients are available for Windows and Mac OS X.
Ubuntu One is an online cloud storage service mainly aimed at media enthusiasts. With the free account, you will get 5 GB of storage space that can be bumped up to 20 GB for 3.99$/month or 39.99$ a year. It supports file and contact sync as well. 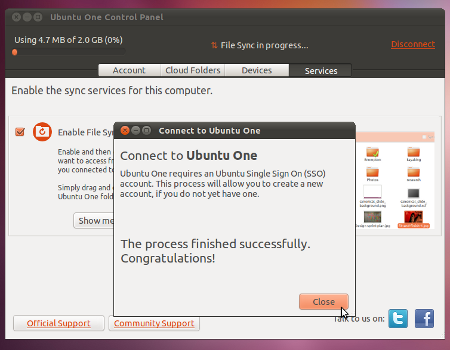 Ubuntu One is available on Windows, Linux, Android and iOS devices as well. All your files and contacts can be accessed on mobile devices as well and it employs both web-based and client-based interfaces. If you opt for the paid plan, you will be able to stream music to mobile devices as well as listen to them offline too! One of the most versatile of all free cloud services, SugarSync offers 5 GB of storage space initially that can be increased to 10 GB via referrals where each referral adds 500 MB. The best part about SugarSync is the ease of use and availability on a wide range of platforms. After uploading any kind of file, your data can be accessed through Windows, Mac OS X, iOS, Android, BlackBerry or Symbian devices. The most popular and easy to use free cloud storage service is Dropbox. It offers 2 GB of storage space that can be extended to 8 GB via referrals of 250 MB each. 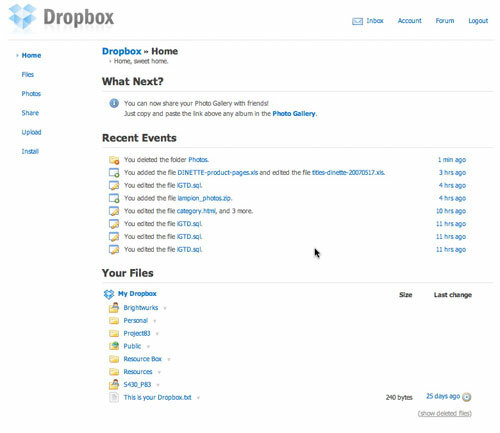 Dropbox also uses a simple drag and drop interface and is compatible with a wide range of platforms including Windows, Mac OS X, Linux, Android, iOS, BlackBerry and Symbian. It also offers extra space for uploading media such as photos and videos directly from devices like cameras, tablets etc. Do you use any other cloud storage service or is there any other worth mentioning? Let us know! Drop box is ruling the free cloud storage competition, but not sure if it still leads after Google drive has been announced. However Dropbox is my favorite among the list.